Hardcover with jacket, 160 pages, 13.5 x 21.5 cm, 5.3 x 8.5 in. Schloss Elmau was built in the period 1914-1916 by the philosopher Johannes Müller (1864-1949) as a cultural community centre. Grandson Dietmar Müller-Elmau is also committed to the spiritual inspiration of the building and its grounds and now provides a top-quality cultural and artistic programme to give today's visitors the opportunity of rest and relaxation through mental stimulation. 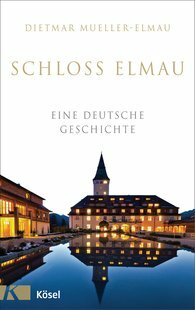 His interest in his grandfather's ideals was the key for Dietmar Müller-Elmau to understanding the most important stations of the history of Schloss Elmau and to seeing the architectural concept and ideas behind the palace as a political project. This is the essence of this book.